This study systematically examines uneven regional development in China, focusing on three central agents: the foreign investor, the state and the region. 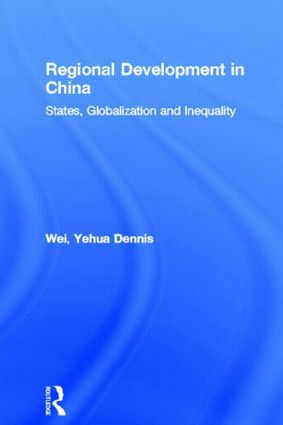 Wei's findings have important implications for theories of, and policy towards, Chinese regional development. This book is a vital resource for those with an interest in transition economies. The spectacular economic development of China has raised many questions about its future. China in Transition participates in the intellectual developments by focusing on social, political and cultural change in the China of the 1990s and beyond. Drawing on new research from scholars in Asia, Australia, North America and Europe, this series is invaluable in monitoring reform and interpreting the consequences for China, its neighbours and the West.